We can’t avoid the fact that our kid will one day discover french fries (amongst other delicious yet unhealthy dishes…) and big are the chances they will love it! I am not one of those control freaks mothers when it comes to food, but I try to make Romy eat as healthy as possible, especially when at home. 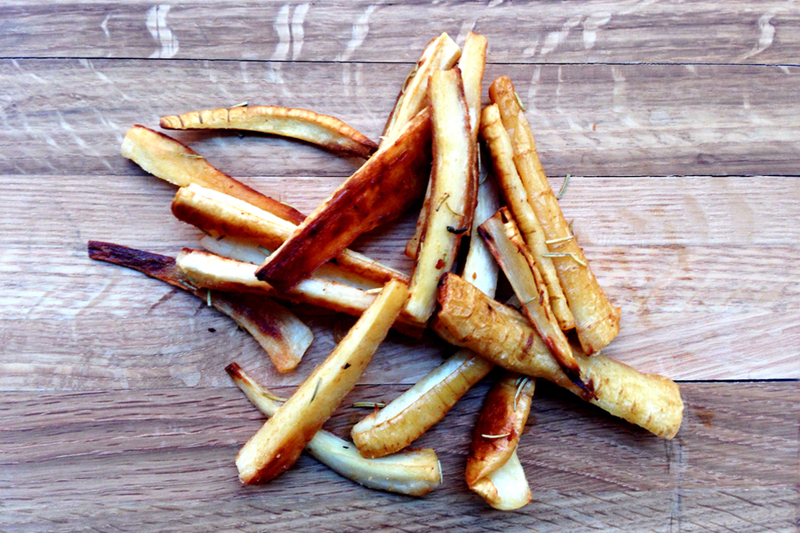 One of my super quick alternative to french fries are Parsnip fries oven roasted over roasted with sea salt, coconut oil and rosemary. Preheat the oven at 350 degrees. 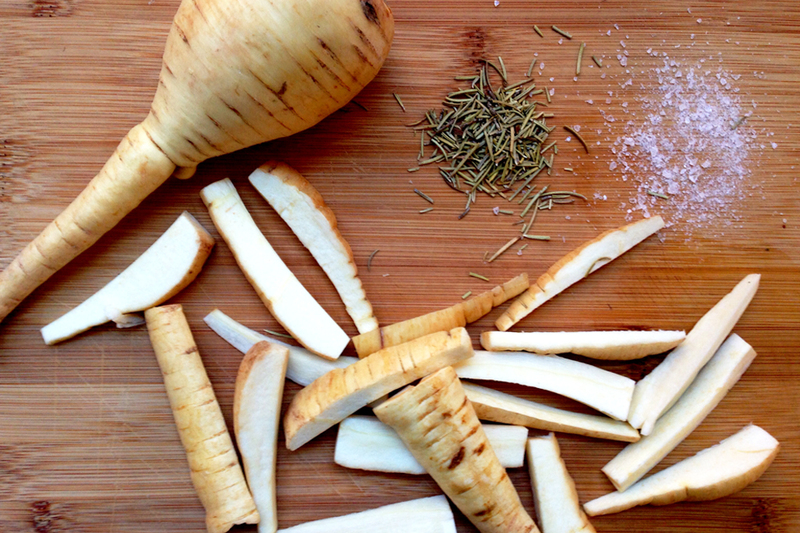 Rinse the Parsnips and cut them in thin long slices (keep the skin). Place in dish, add salt, rosemary, and coconut oil evenly. leave 10 minutes, then flips the fries around for another 5 minutes so that they are all evenly golden.